Southern California: Tetra Tech staff implemented a statistically-based decision methodology for remediating elevated levels of carcinogenic polycyclic aromatic hydrocarbons (CPAHs) in soil to background levels at numerous former MGP sites and commercial/residential areas located near former MGPs using a database representative of background CPAH levels in Southern California. 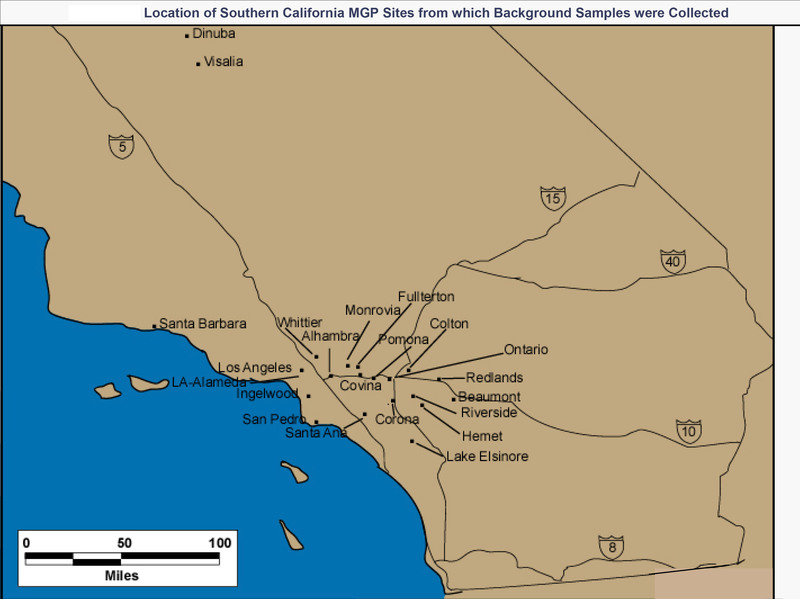 The decision methodology and background CPAH database developed from this work were adopted by the California Department of Toxic Substances Control (DTSC) as a pragmatic management tool for the soil cleanup process at MGP sites in Southern California. Northern California: On behalf of PG&E and the U.S. Navy, Tetra Tech staff worked collaboratively with a team of consultants and Cal/EPA Department of Toxic Substances Control (DTSC) to create a database representative of background CPAH levels in Northern California for use in a statistically-based methodology for remediating CPAH impacted sites (e.g., former manufactured gas plant sites). The resulting CPAH database was adopted by DTSC as a pragmatic management tool for the soil cleanup process at MGP sites in Northern California.